I began practicing yoga in 2010, as a way of stretching to compliment my running. As my flexibility and general well being improved it soon became a bigger priority in my life. I’ve always been somebody that’s in a rush and have found the relaxation aspect of yoga most challenging. In the last couple of years I’ve been able to use yoga to work on this and am enjoying taking a calmer and more laid back approach to life. I now practice and teach a variety of yoga types, and am enjoying the different advantages of each. 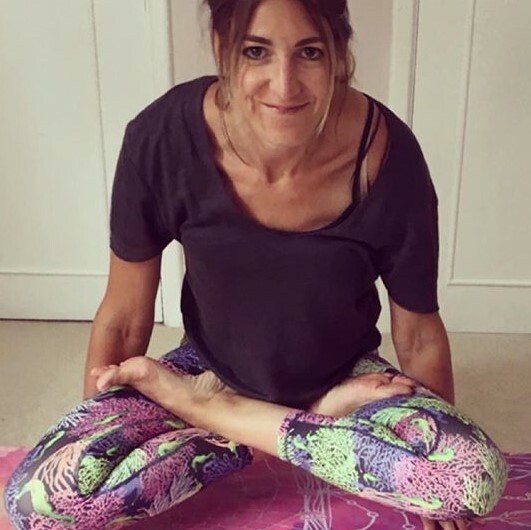 I spent 13 years working for the NHS as a cardiac physiologist and in 2017 I was lucky enough to incorporate my love of yoga with a more flexible working pattern and undertake a 200 hour yoga teacher training programme (accredited by Yoga Alliance UK). I have a four year old and a 1 year old and am loving bringing them up with yoga, seeing the benefit it has on them and giving them tools to keep calm. This has led me to teach family yoga classes as a great opportunity to bring the family together in a fun laid back hour of yoga. In the rush of the lifestyle of having young children it’s important to take time out for yourself (easier said than done)! Which is why my Mummy and baby class is a lovely opportunity to take time for you before you feel able to leave little one. I also teach 1:1 yoga classes where we can tailor classes to suit your individual needs. “The success of yoga doesn’t not lie in the ability to perform postures but in how it positively changes the way we live our life and our relationships” T.K.V.